3 Bedroom A/C Family home, freshly renovated and tastefully decorated in a neutral colour scheme, a great nest to make your own. Fantastic family environment opposite park in closed street, easy walking distance to Angove Street Cafe's, North Perth Shopping, Coles and Local Entertainment Areas. Described by the agent as '3 Brm Renovated Character Home Opposite Park', 6 Albert Street, North Perth WA 6006 is a 3 bedroom, 1 bathroom House For Rent by Nigel Samuels from P.A. Samuels (1966) Pty Ltd. This property was listed For Rent with a listing price of $385 Weekly. 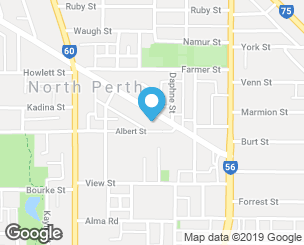 If you're interested in getting in touch with Nigel Samuels regarding 6 Albert Street, North Perth please call 0419 988 807 or contact the agent via email.